Bug zappers come in a great variety of shapes and sizes and choosing the best one for your needs can become overwhelming in no time. The market sure gives you plenty of options to choose from and not all of them are going to do a good job. Do your bits and bobs before buying so that you don’t end up with a lemon! 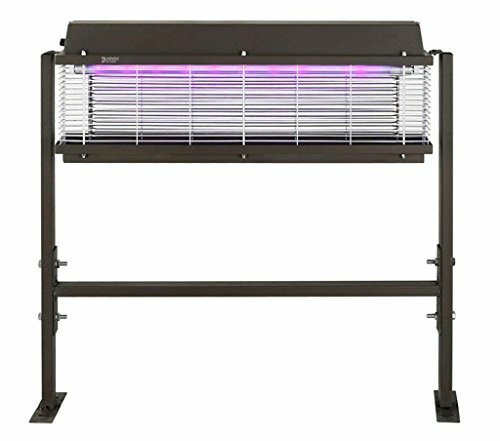 What makes a good outdoor bug zapper? Even if the durable build or the tough material are a bit intuitive features, there are some other things to take under consideration when looking for an outdoor bug zapper. When you’re planning to use an outdoor bug zapper, you can never compromise on the durability. You want your insect repellent device to take the elements of the outdoors for more than just one day. It should be able to take a windy or a rainy day and it should also present corrosion resistance. The higher the IP waterproof grade, the better the chances for the outdoor bug zapper to handle moist or rainy seasons. The material of the body is also something to take under consideration. Stay away from the thin plastic which isn’t going to pass the durability test. It’s better that you go with stronger and tougher materials that not only take the weather conditions, but also present low risk for damage or break. Even though looks aren’t essential, you should still pay attention to the design. An outdoor bug zapper (or indoor as well) should have some sort of protection against the accidental contact. A good outdoor bug zapper is going to attract and kill only the insects, and it should never pose a risk for humans or pets. Let’s also highlight that a reliable outdoor bug zapper needs little to no maintenance so don’t forget about this one when buying. The efficiency of the range is important especially when it comes to an outdoor bug zapper. Some devices are going to cover larger areas, whereas others are pretty limited and only efficient on a smaller area. It all depends on how much money you’re willing to spend. Some outdoor bug zappers are going to come with built-in lanterns so that you may use them as insect repellent and source of lighting too. This is a great feature, especially if you’re planning some camping or outdoor activities. You may also find outdoor bug zappers that allow you to add chemical solutions for more efficiency. A self-timer that makes the device to turn on/off on its own is also a feature that matters, especially if you’re concerned about the energy costs. The price range is, as the variety of the outdoor bug zappers, pretty impressive and it’s almost impossible not to find a device that checks everything on your list. The more you’re willing to pay, the more you should expect in terms of durability, coverage, extra-features or efficiency. Nevertheless, a good outdoor bug zapper has to attract and kill insects. Never compromise on that. 1). If subtle and low price are the main things you’re looking for on a bug zapper, you should definitely take your chance with the Cypers Bug Zapper Light Bulb- [2018 Upgraded] Electronic Insect Killer. The 2-in-1 device works as a light bulb and a bug zapper as well. It fits any standard socket and comes with 3 operating modes to choose from. Its LED blue-violet band is going to emit 360-420nm wavelength, which is attracting the insects. The device kills mosquitos and other insects too. The bug zapper is powered by electric so it doesn’t involve any chemicals, radiation or toxic ingredients. It’s safe for humans and environment too. It runs rather quiet and you only hear the zap sound when it catches the bugs. The light is soft and the bug zapper works both indoor and outdoor. It has a good build and it’s good value for the money. Nevertheless, as it’s versatile, dependable and effective, the bug zapper is always a solid option for the tight budget. 2). An affordable and dependable outdoor bug zapper which may work also as a camping lantern, is the ENKEEO 2-in-1 Camping Lantern Bug Zapper Tent Light. The 2-in-1 zapper lantern is both a mosquito zapper and a camping lantern and you may choose both functions simultaneously. It produces 360nm-400nm UV light, covering 16×16 ft. area. The device comes with a 2000mAh rechargeable battery which may run 20 hours with lantern-only feature. If you’re only using the zapper feature, it’s going to run for 15 hours. The bug zapper/camping lantern features a retractable hook for more portability and ease of installation. It also presents a plastic cage so there is no accidental contact of the inner wire. The build recommends it for the outdoor use and the bug zapper has an IPX6 waterproof grade. As a matter of fact, you may easily clean it by running it under some tap water to get rid of the insect remains. Portable and compact, the bug zapper is lightweight and very easy to carry around. the camping lantern has adjustable brightness and there are 3 different lighting modes to choose from. You may hang it up on a string or put it upside down, using it as a ground lamp- whichever works for you in a situation. Cordless and well-made, the bug zapper/camping lantern has a durability feel to it and it’s going to serve you well for quite some time. All in all, for a good price, you’re getting a bug zapper that also works as a camping lantern which is really helpful when you’re the outdoorsy customer. 3). 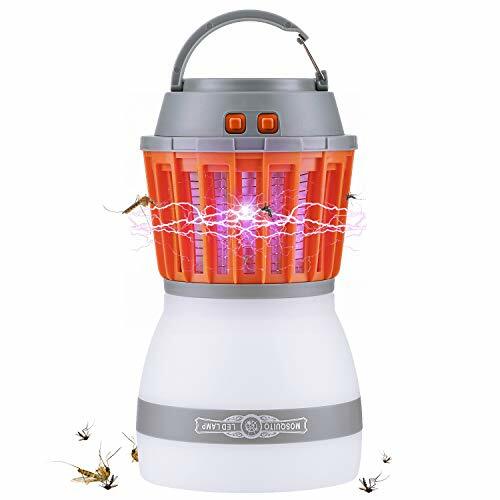 If you’re looking for a small and compact bug zapper that you may take on your hiking trips, give it a try with the Fenvella 2018 Newest Bug, 2 in 1 Fly Zapper with Camping Lantern. For a very good price, you’re going to get both a bug zapper and a camping lantern. 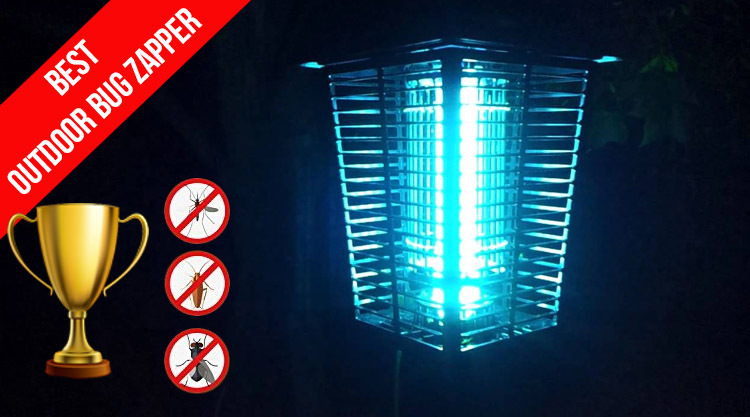 The bug zapper is going to catch mosquitos and you may also lighten up your way at night thanks to the light feature. The bug zapper uses UV light to lure moths, mosquitos and various flying insects. The electric grid is going to kill the insects. You don’t need to worry about the accidental touch as the dense grid creates an isolation cover for safer use. Not only that the bug zapper is going to keep mosquitoes away from you, but it’s also going to take the challenging weather conditions pretty well too. It presents an IP67 waterproof grade and you may also use it under a faucet. Its body is made with environmentally friendly and non-slip outer casing material. It’s highly portable and easy to wash for cleaning. The bug zapper comes with a 2200mA Li battery which is rechargeable. The bug zapper holds its charge so you’re not going to wake up in the middle of the night unprotected against the mosquitoes. The device takes both the indoor and outdoor use and it’s easy to hang for use. Small, portable, effective and ready for your next camping experience, the bug zapper/camping lantern is going to be a nice surprise for the skeptical. 4). When it comes to the Flowtron BK-15D Electronic Insect Killer, 1/2 Acre Coverage, you may just as well take a shot in the dark- it’s simply the most popular option out there! We’re talking about an advanced electronic insect control device which is able to cover ½ acres (there are other models that cover a larger area, it all depends on your needs). In order to get best results, it’s wiser that you don’t use it within 25-feet or area addressing human activity. Don’t attach it to your house or other structures either. The bug zapper uses a 15-watt bulb and ensures continuous and instantaneous operation. 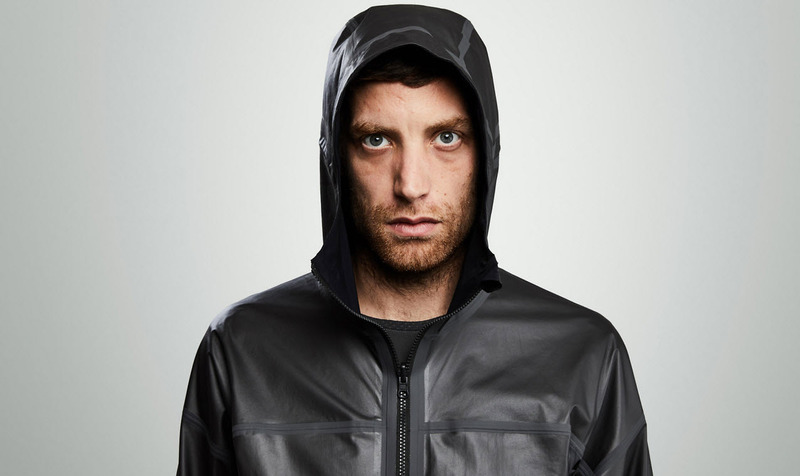 It features a killing grid that doesn’t clog easy and you may use it against flies, moths, mosquitoes and other small insects. 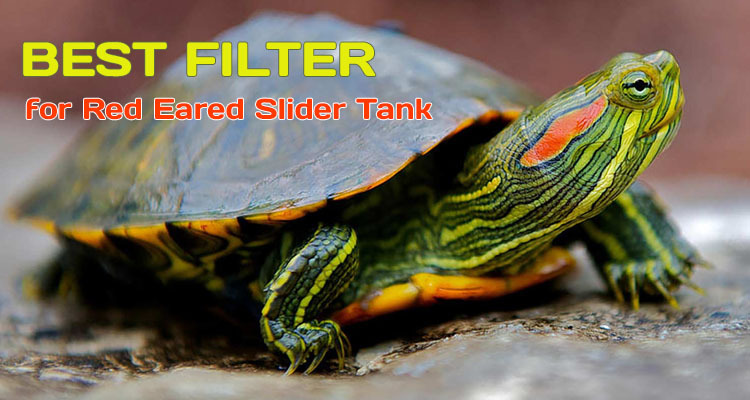 It uses nontoxic UV light for attracting the insects. It features a protective outer enclosure that is going to reduce the risk for accidental contact with the charged grid. The build recommends it for the outdoor use and the bug zapper presents a weatherproof polycarbonate body which takes various weather conditions. The body presents good resistance to rust, crack and fading as well. The bulb is easy to replace and the bug zapper is reliable and effective. Regardless of the minor problems, for the good build, efficiency and performance, the bug zapper is one sure option not to skip on when buying. 5). 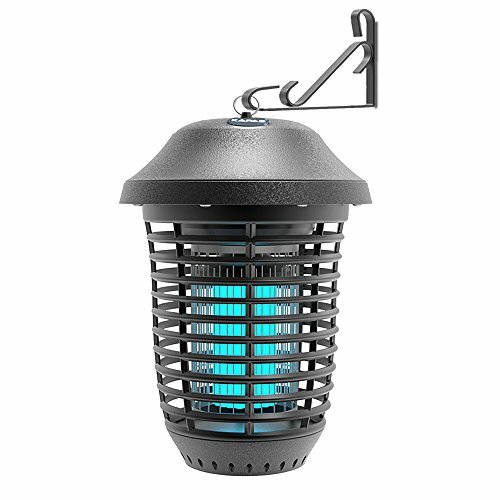 Strong and able to cover a large area, the Hoont Robust Electric Indoor Outdoor Bug Zapper Fly Zapper Killer Catcher Trap is going to spread light in all four directions. It’s effective for an area of up to 1-1/2 Acres. It’s great for home, restaurants and even hospitals. 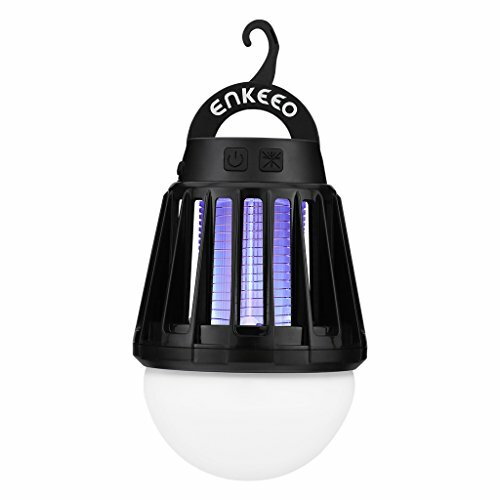 The bug zapper features two UV 18watt bulbs which are going to lure the insects into the device. Once they get in contact with the high voltage electrically charged metal grid, they’re going to die. The versatility of the bug zapper is another thing to mention. You may use it free standing or use the ring for wall mounting. The dead insects are going to fall in the tray at the bottom of the unit. You may easily take out and clean the tray whenever it needs. The electric grid doesn’t clog and it’s easy to clean. You may run the bug zapper safely for 24/7. It’s maintenance free and so easy to operate. The build matches its performance and the bug zapper is weatherproof, taking the use for quite some time. It gives a nice background light and has a durability feel to it. 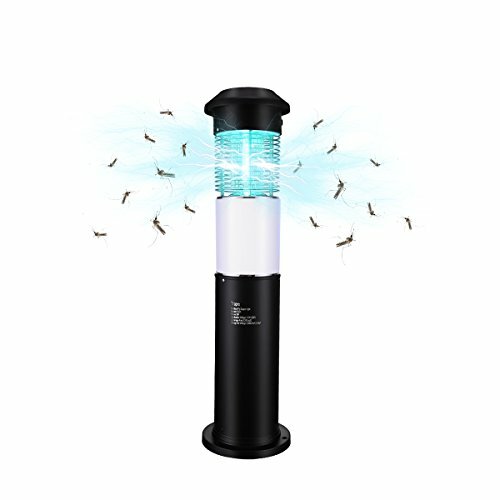 Weatherproof, effective and easy to use, the bug zapper should be on your shopping list next time you go running for some errands in town. 6). One thing not to complain about the Black Flag BZ-40 40-Watt Outdoor Bug Zapper is its efficiency and the bug zapper is going for the kill. The device comes with 5500 volts of power with UV white light that is going to attract and kill various insect. Not only that the device is going to cover 1 acre, but it’s also going to give you solutions against wasps, yellow jackets, mosquitoes, biting flies and many more. Another thing that counts it’s the fact that the bug zapper uses 30% less energy than other devices out there. The bulb gives a bright light and the bug zapper includes mosquito lure with 30-day continuous release. Sturdy and attractive, the bug zapper has a good build and seems to be able to take the use for a long time. It features dawn-till-dusk- sensor so it’s only going to work at night. It has a tough body, able to take a fall. The big downside? You’re going to need to clean it a lot as it’s quite efficient! Regardless of the minor issues, the bug zapper is going to kill pretty every insect approaching your porch. Isn’t this the most important feature on a bug zapper? 7). If you’ve searched high and low for a bug zapper to install on your porch, look no farther. TheKAPAS Electric Bug Zappers, New Upgrade with Free Hanger 40W Outdoor Pest Control Lantern is a great option to use and you actually get two of them for just one price. The bug zapper bulb gives blue ray, attracting the insects. The high voltage grill outside the bulb is going to kill the insects as soon as they touch the bulb. The bug zapper is made to take the outdoor use and comes with a hanger for easier and safer installation (don’t keep it around kids). Even though it’s able to take some harsh weather, it’s better to stay on the safe side and take it inside on a rainy day. You may leave it outside, but it’s better that you turn it off. The device gives a fancy light so buying 2 at once makes sense for a nice flow in your garden. The design is smart and the dead insects are going to fall on the bottom tray of the bug zapper. You should use the accessory brush for cleaning the zapper. Reliable and creating a nice light, the bug zapper is rather quiet when zapping. 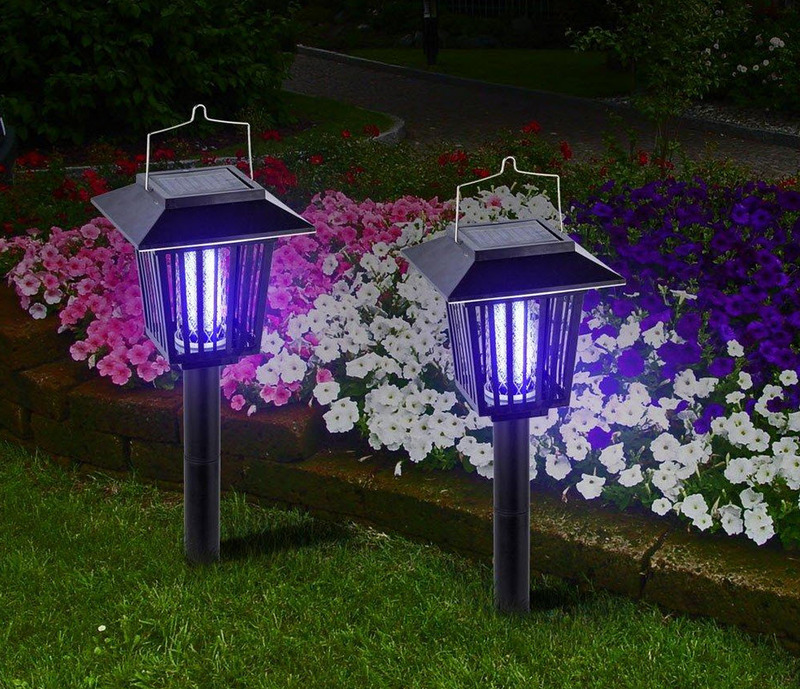 All in all, for just one price, you get two bug zappers that don’t just kill the insects, but also create a nice light on your porch. Why not try it? 8). Sure, you may feel like paying an arm and a leg for the Trapro Electronic Insect Killer Bug Zapper with Dusk to Dawn Light Sensor, but the bug zapper isn’t going to disappoint at all. The bug zapper makes a great first impression as it comes with a special cold cathode tube and UV tube combo appearance. it attracts and kills moths, flies, mosquitos, gnats and other insects. The device has a 5,000V killing grid and it’s powered by a high voltage transformer. It does all that killing without posing any risk to you or the environment. 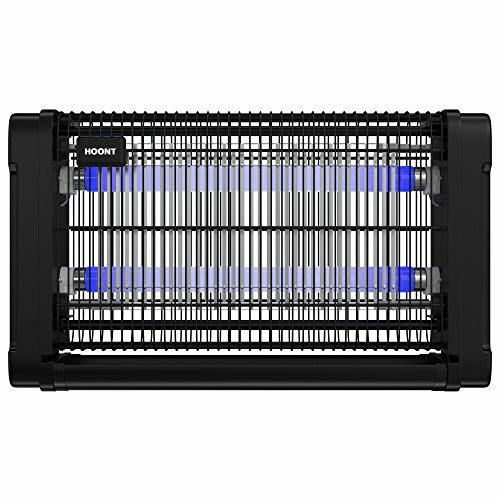 The bug zapper is loaded with good features. It presents an auto on/off feature and features a built-in light sensor which is going to turn the light on at dusk and off once the dawn comes. The build doesn’t disappoint either and the bug zapper has a nice looking aluminum body and stainless steel mesh. The risk for rusting or cracking is minimal. It’s made to take the outdoor use as it has an IP44 waterproof rate. Leave any safety concerns aside as the bug zapper features a protective outer enclosure which means you don’t need to worry about accidental touching of the charged grid (by yourself, kids or pets). As if all of this wasn’t enough already, the bug zapper also features manual control LED light. You may use it to light up a pathway, not only as a bug zapper. 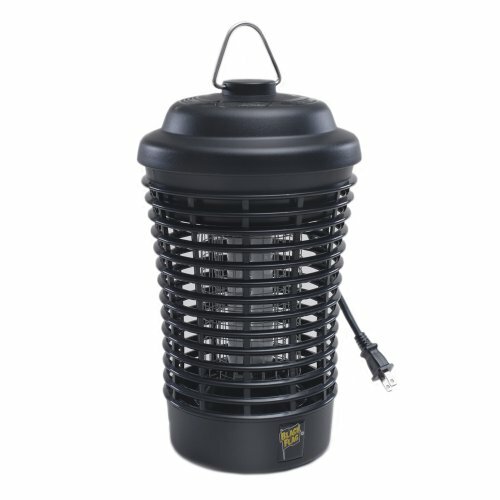 Pesticide-free and non-toxic, the bug zapper is maintenance free and efficient. Once the insects are killed, they’re going to fall to the ground and reabsorbed into the ecosystem. Installing it is a breeze as you only need to plug it in and stick it into the ground. 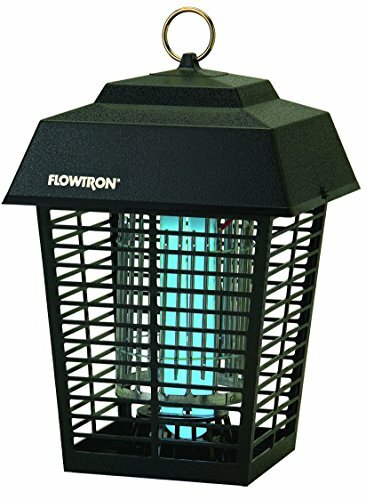 Long story short, the bug zapper looks good on any pathway and keeps the insects away in a modern and fancy way. Even if you’re going to pay the extra buck for it! 9). The 120 watts of Black light energy of the Flowtron Mc9000 Residential Bug Fighter, Green is behind the high efficiency of the bug zapper. The bug zapper is a strong device that comes with a 5,600 volt killing grid. Not only that it lures and kills an impressive number of insects, but its grid is also patented and non-clogging. The risk for insect building up is minor so that the risk for short circuits, clogging or flare UPS is minor too. The chrome plated grill is going to take the use for quite some time, too. 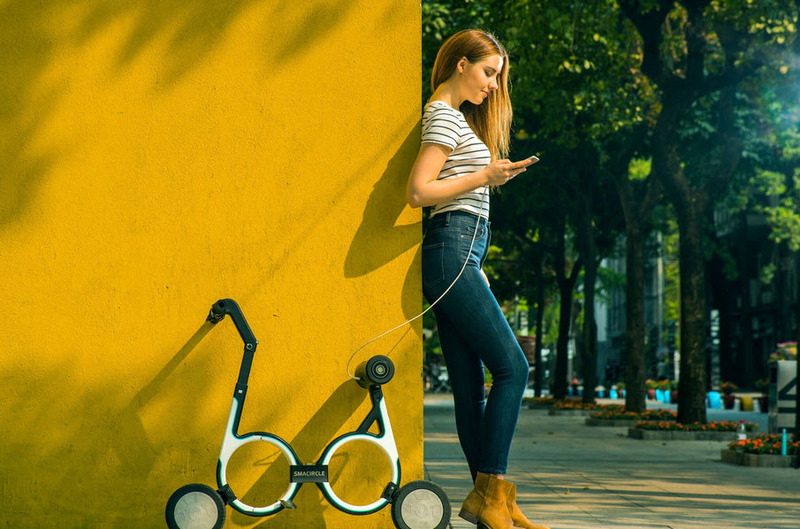 The build recommends it for the outdoor use and the bug zapper is weatherproof and ready to take the challenging weather conditions. You may safely leave it outside 24/7, all year long, no matter if it’s a rainy or a sunny day. The bug zapper comes with replaceable bulbs and it has a maintenance free operation. Able to cover up to 2 acres, the bug zapper is made in our USA and gives a bright light. Its setup is easy and the bug zapper has a durability feel to it. Even if the bug zapper isn’t far from being the perfect device, it’s still very close to it as it checks almost all quality boxes. Fair and square. 10). 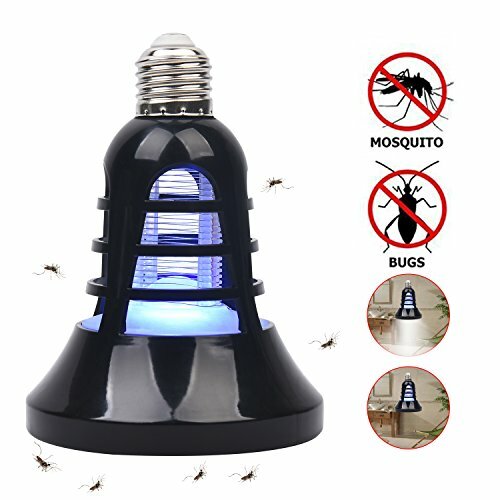 If you’re ready to take the insect killing to the next level and don’t have the patience for trial and error, put your money at stake with the Flying Killer Lamp, Voltage Waterproof LED 9W 360° Mosquitoes Physical Mosquito Killing Insects Captured Garden Outdoors Stand. The device is safe and healthy and it’s a non-pollution and eco-friendly way to kill bugs in and outside your house. The electronic fly zapper is an insect-catcher that doesn’t use poison. 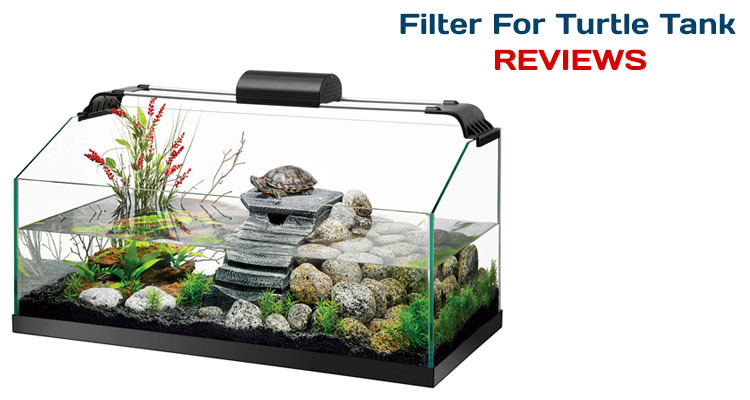 It collects the dead insects hygienically and you should wash the cage inside from time to time for cleaning. You may use the bug zapper in your home or garden, providing a nice and cozy environment for your loved ones. It’s going to attract and kill flies, wasps, fly ants and other flying insects. It covers a big area and it’s energy effective and eco-friendly. It only needs 35W for giving results. The UV lamps are going to attract the insects into the electrical grid. Once they touch it, they die and fall into the clean tray. The bug zapper is made of high-quality aluminum alloy, taking the use for a long time. It uses low energy bulbs and it’s easy to install. The body has a strong build and the bug zapper is really effective. All things considered, as it’s effective, cost-efficient and durable, the bug zapper is always going to be an investment for the long run.